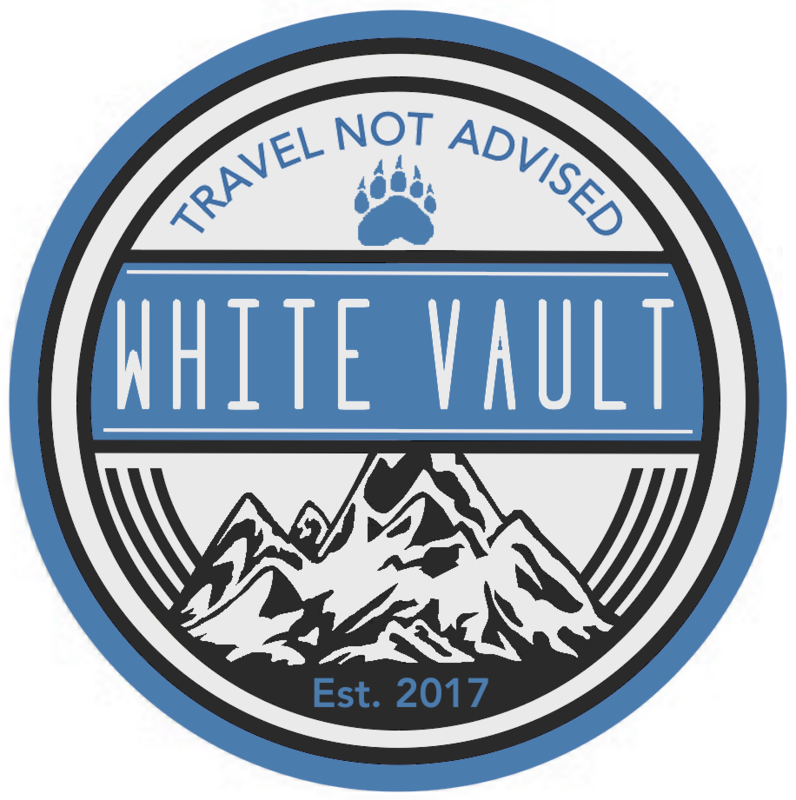 The White Vault ‘Travel Not Advised’ patch is designed after the hiking patches of trails and mountains around the world. 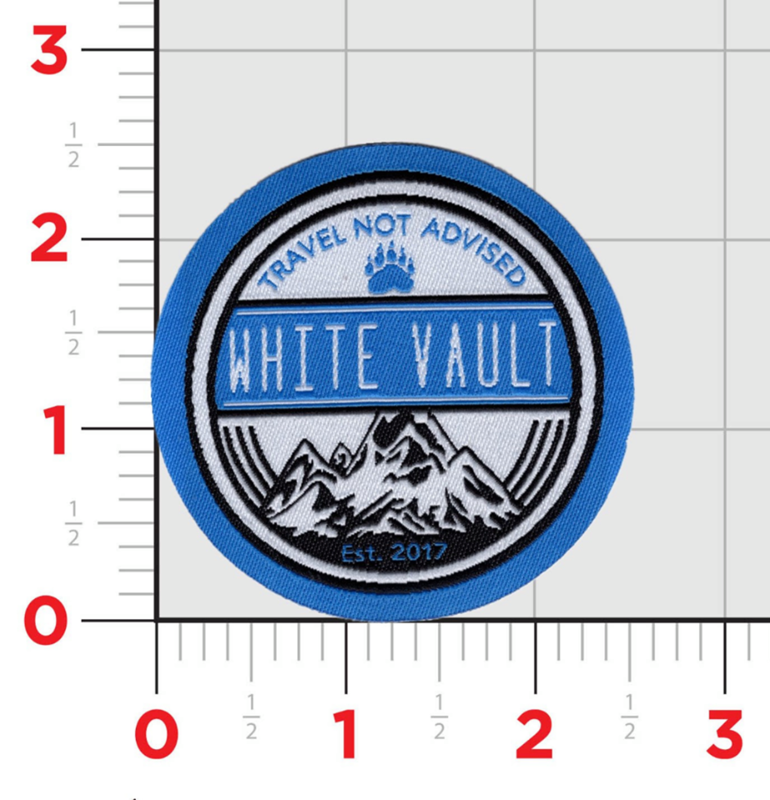 The patch is 2½ inches (6.35 cm) in diameter, with a woven design and iron-on backing. It is thin and flexible, great for affixing to hats, jackets, bags, etc.